Last week the Design Leadership Summit marked its tenth anniversary with an impressive line up of events in Los Angeles. Now over 300 strong, the Design Leadership Network‘s growing group of top design professionals traveled from across the country to learn, (re)think, connect and share. With the overarching theme of “The Ultimate Master Class,” the focus was on our host city as a flourishing international epicenter for art and design. 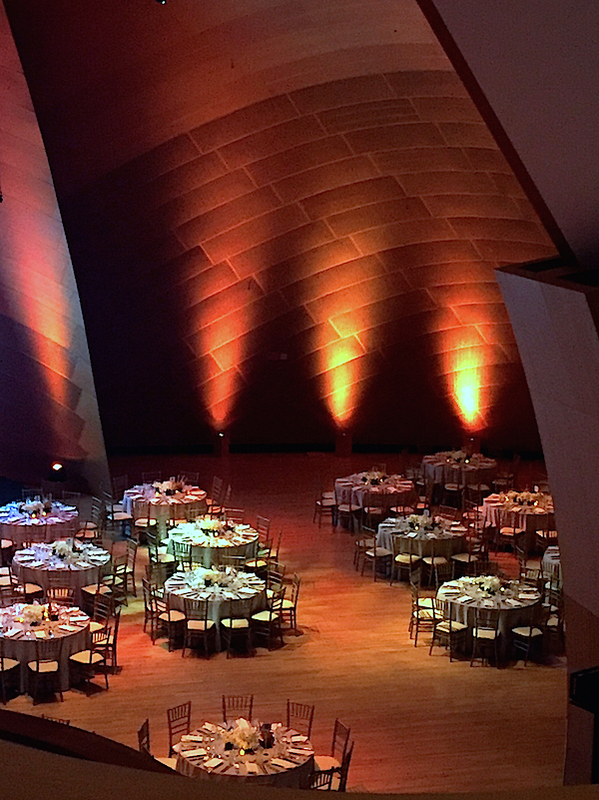 Wednesday evening, dinner and the DLN award presentation took place appropriately at one of LA’s most significant architectural moments – Frank Gehry’s monumental and seductive Walt Disney Concert Hall. 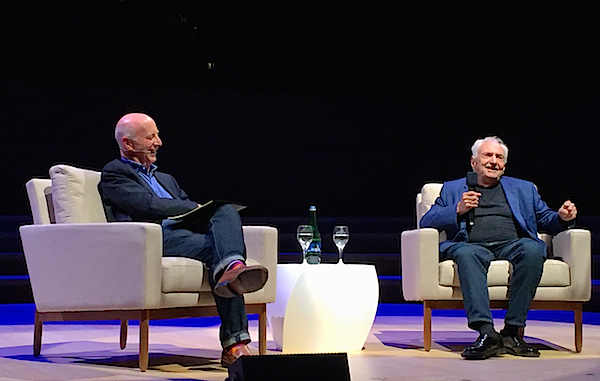 Here the event’s keynote brought architect Frank Gehry and architectural critic and author of the new Gehry biography, Paul Goldberger, together for an illuminating and entertaining conversation on his life and work. 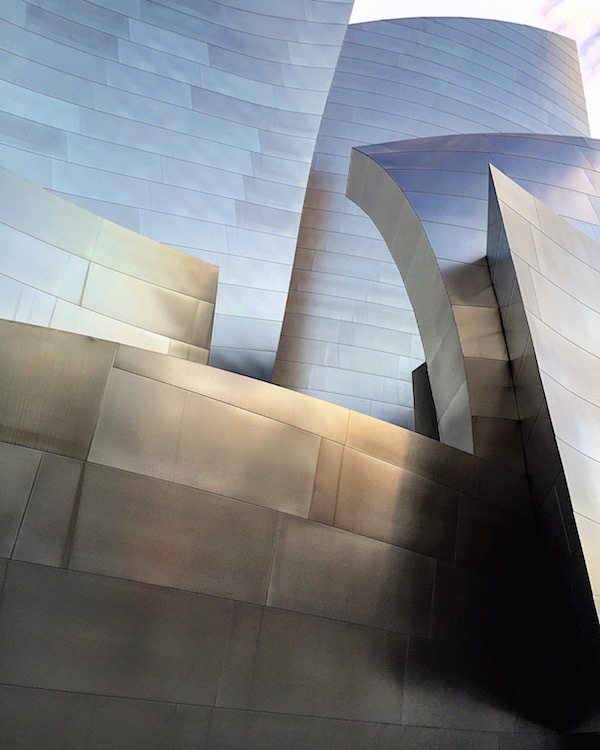 Gehry is an incredibly lucid and insightful 86 year old icon who continues to influence the built world with his innovative, forward looking and oft controversial projects. 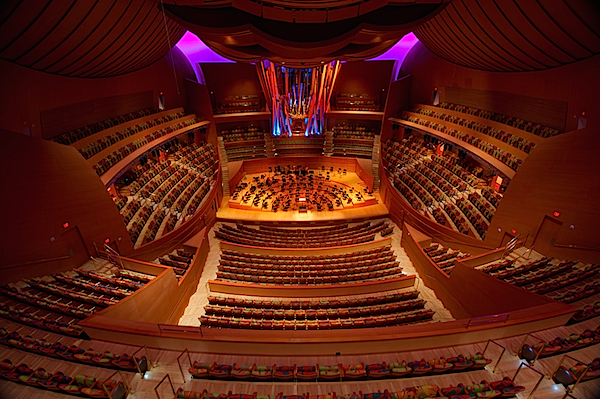 Gehry spoke of the importance of openness and flexibility in both spirit and design, the democratic and organic organization of the seating surrounding the musicians (as opposed to the traditional hierarchical approach with boxes and seats all facing the stage), the focus on human scale, and the intimate relationship between orchestra and audience. For both architects, it was always about the people and the music and how to enhance the experience for all. 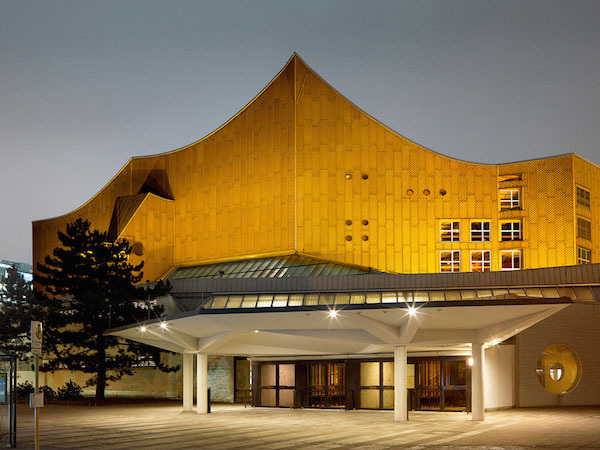 And like Scharoun, Gehry wants his building to have social impact – to be a part of and used by the community – in fact he has volunteered to continue with the project, bringing additional public uses to the hall and the four acre property, inside and out. Our evening’s cocktail hour was a perfect example as we enjoyed the public park terrace with its outdoor sculpture and sweeping views of both the building and city. While the exterior stands as an imposing and majestic structure, inside it is all about the human experience. Here Gehry collaborated with renowned acoustician Yasuhisa Toyota, who brought to the sound the same enveloping features as the architecture. His signature “surround style” echoes the seating arrangement, bringing a much more intimate experience to the audience. The dramatic yet warm interior served as a stunning setting for our dinner where San Francisco designer and Michael Taylor protégée Suzanne Tucker was presented the Design Leadership Award. Recognized for not only her work but her generous contributions to the design community, Suzanne spoke of the importance of both mentoring and giving back. Her office mantra is “we” not “I” and she shared that running her firm indeed takes a village. Suzanne and her husband/partner Timothy Marks, are members of (in some cases founding members) and support a wide variety of industry organizations from the Institute of Classic Architecture & Art to the Environmental Design Archives (housed at UC Berkeley), the Garden Conservancy and the San Francisco Fall Antiques Show, where Suzanne was this year’s Show Chair, and many others. So, congratulations Suzanne – well deserved! This entry posted in architecture, art, design, learning, travel. 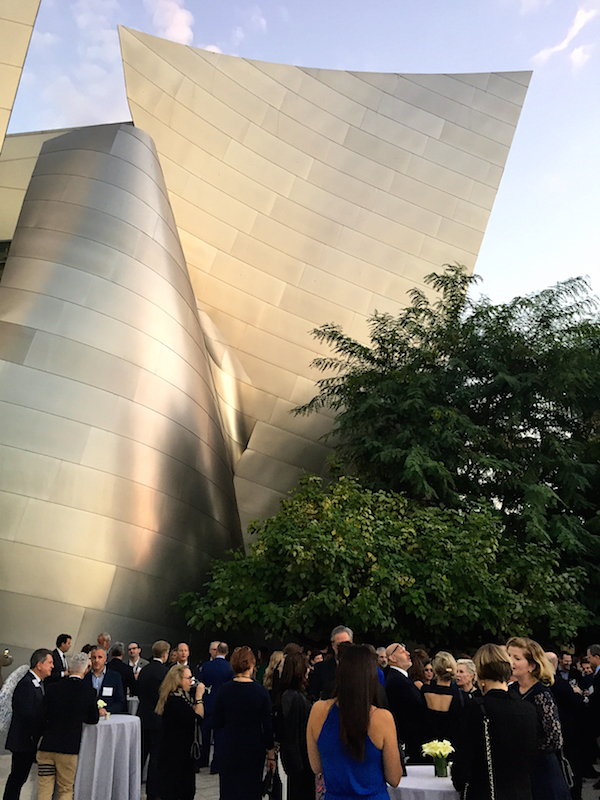 Entry Tags: Architecture, Design, Design Leadership Summit, Frank Gehry, interior design, Los Angeles, Paul Goldberger Bookmark the permalink. LOvely! Brilliant! 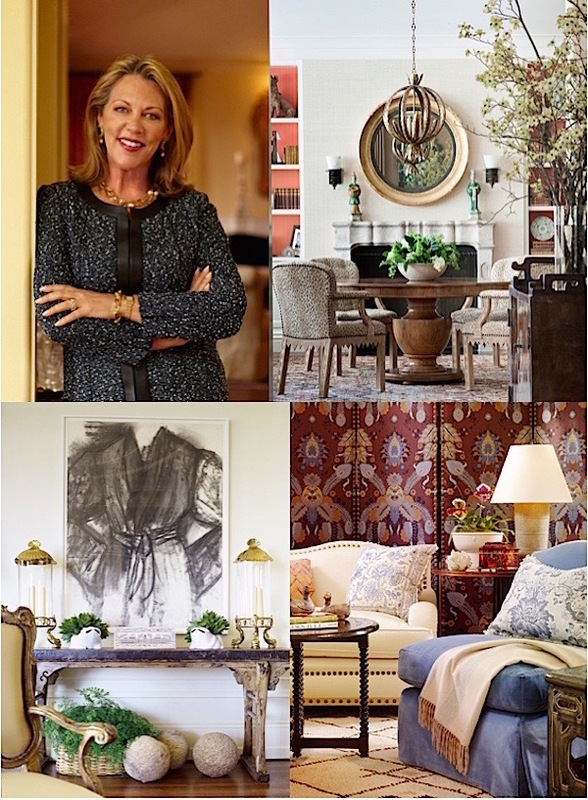 I have no idea how Suzanne did the San Francisco antiques show last weekend…and then this! YIKES!!!! Great post and a reminder of how lucky I am to make my home in Los Angeles. 80 queries in 0.520 seconds.